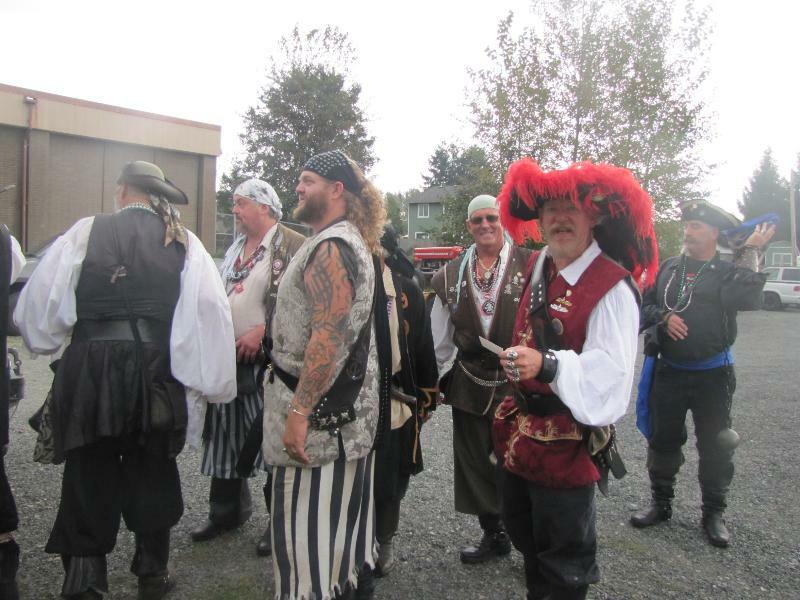 A “handsome” gathering of scalawags and hooligans. Can you tell who is the Captain? 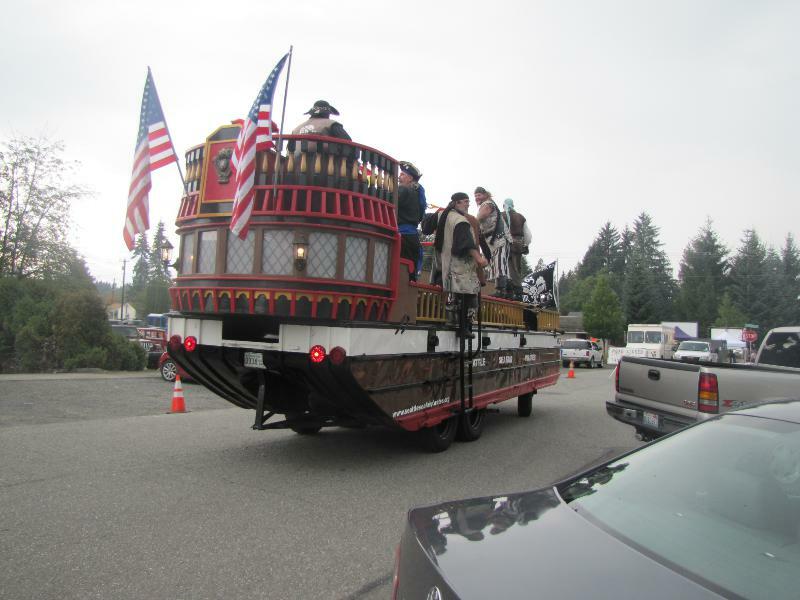 The location was Granite Falls, Washington, hosting their annual Railroad Days, held the first Saturday in October. As we entered the town we noticed an odd vehicle on the side of the road. Somehow it looked like a ship of some kind. Then we saw (and heard) pirates leaving the “ship”, having a great time as they ambled down the sidewalk and entered a bar or grill. Later the vehicle, an amphibious Duck, drove by us as we were parked on a side street. That was my chance to go see what this bunch of scalawags was all about. I walked with Pirate Steve, aka Fingers, as the raucous crew made their way to the local American Legion bar. Steve told me that this bunch of pirate dressed holligans were in fact the Seattle Seafair Pirates. The Duck transformed into a rolling and floating street legal scourge of highways and seaways alike. The group traces its history back to 1949. The original bunch began the decades long mission of promoting Seattle and the SEAFAIR celebration. The select group also visits hospitals and nursing homes, as well as civic events such as the Railroad Days in Granite City. These guys have a ball, speak the language, and are dressed to the hilt. Yes that is a pun on the hilt of a pirate dagger. It takes a year for new members to be signed up for a position on this elite crew. Their civic duty is legendary in the Seattle area. A visit to their website is a journey worth your time.